A person’s smile is often one of the first physical attributes noticed when speaking to other individuals. It can influence the way a person is perceived and even the message being delivered. Similar to other physical attributes, an ailing or unhealthy smile has an enormous impact on a person’s self-confidence. As dentists, we routinely face the challenge of restoring and improving not only a patient’s smile, but their self-confidence as well. Invisalign is one of the most common, non-invasive, methods of “smile reconstruction” we have at our disposal in this battle for self-confidence. For many adults, the idea of straightening their teeth with conventional braces is unpleasant due to a perceived negative social stigma. As not only a dentist, but also the son of an orthodontist, I wholeheartedly disagree and reply with the classic orthodontic tagline, “Braces are Beautiful!” With that said, I respect and understand that an individual may not want to have matching braces with their 12-year-old son or daughter. 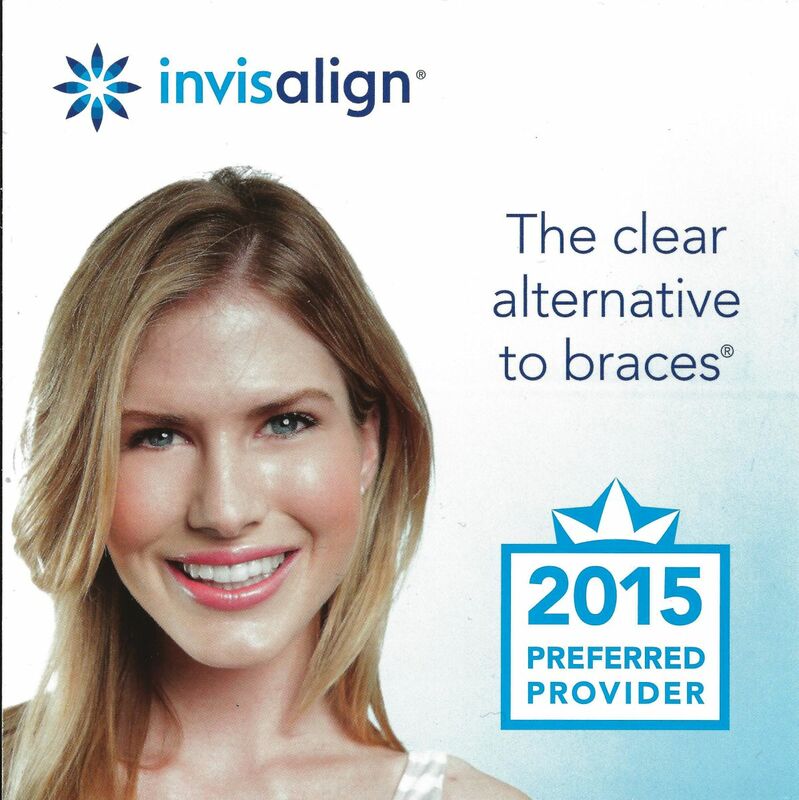 For these patients, Invisalign treatment is quite an attractive alternative. So what is Invisalign and how does it work? The process involves a series of custom-made aligners made from smooth, comfortable, and virtually invisible plastic that fit over your teeth like a glove. These aligners are worn for a minimum of 22 hours per day, taking them out only to eat, brush, and floss. They are changed every two weeks and create gentle incremental movement according to the personalized plan created for the patient by his/her dental professional. This plan is commonly referred to as the patient’s Invisalign ClinCheck. All this is done without brackets to attach or wires to tighten. Invisalign truly is the nearly invisible way to straighten teeth! While the cosmetic benefits of invisibly straightening your teeth are obvious, there are multiple other advantages Invisalign has over conventional braces. The removable aligner method used by Invisalign allows a patient to brush and floss their teeth without the plaque and bacterial traps caused by brackets and wires. The brackets and wires of conventional braces create numerous nooks and crannies, which are very difficult to keep clean. Without impeccable oral hygiene, braces patients often suffer from varying degrees of gingivitis. Gingivitis is essentially the swelling of gums due to the presence of bacteria, and it’s these bacteria that can cause cavities in the surrounding teeth. Many former braces patients see permanent reminders of the destruction caused by these bacteria when they look in the mirror in the form of white decalcificied square areas on the front of the teeth. In addition to being cosmetically unappealing, these decalcified squares of enamel are weaker and more susceptible to future cavities. As previously mentioned, the Invisalign aligners are smooth and comfortable plastic that fit over your teeth like a glove. This is in contrast to the sharp brackets and wires found in conventional braces which are far more likely to irritate your cheeks and lips. For those of you (myself included) who were braces patients, you likely remember placing soft wax over the brackets to provide relief to the areas of our mouth rubbed raw by the braces. With Invisalign, these mouth sores are essentially a thing of the past! Invisalign is remarkably convenient because patients can eat ANYTHING they want! With conventional braces patients are unable to eat numerous foods, especially hard and sticky ones. Corn on the cob, caramels/taffy, popcorn, pretzels, nuts, bagels, apples, carrots, pizza crust, and tortilla chips are just a few of the foods braces patients can’t eat while in treatment. Invisalign allows your taste buds to celebrate with any food because there aren’t any wires to pull out of place or brackets to knock loose. In addition to improving the cosmetics of your teeth, Invisalign is also able to improve their overall health too! Crowded or crooked teeth often are often surrounded by red, swollen gums because they are so difficult to clean properly. The overlapping prevents proper brushing and flossing which can lead to bacterial buildup. Tooth decay and gum disease are caused by this same bacteria. Left untreated, they can cause mouth sores, tender or bleeding gums, bad breath, infection, and possible tooth loss. Studies by the American Dental Association have shown that dental infections can lead to other more serious ailments such as heart disease,[i] stroke,[ii] pneumonia,[iii] and diabetes[iv]. Straight teeth make keeping your teeth clean much easier, thereby reducing the risk of dental or medical problems. Straight teeth can also alleviate issues that can be caused by an improper bite such as speech/chewing difficulties, jaw problems, and increased wear on the tooth enamel. [v] Essentially, teeth that are in the correct position function better and last longer than their crooked counterparts...and Invisalign is a great way to achieve straight teeth! 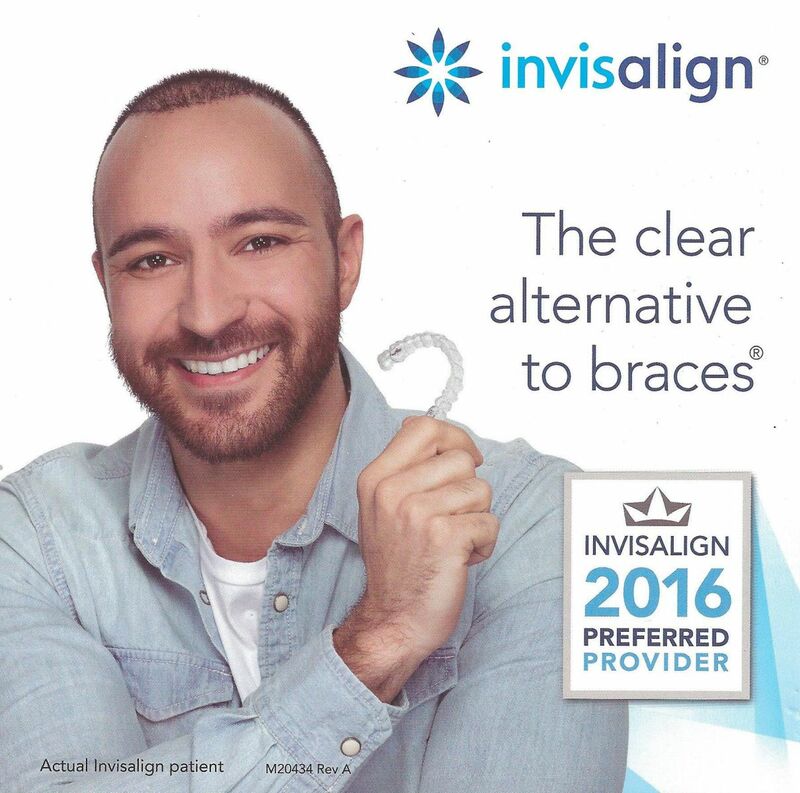 At Oral Health Care Professionals LLC, I’ve designed the “Invisalign Experience” to be unlike any other office in the western suburbs. In our office, the final retainers and refinements are included in the original fee. This adds a tremendous value to the procedure without adding additional cost to the patient. It also ensures that each patient that starts treatment is able to have retention. Perhaps the most notable item that sets us apart is that we offer the Invisalign consultation, records, and ClinCheck free of charge. Invisalign records consist of impressions of your teeth, photographs, and an x-ray. It’s very important to me to offer this as a complimentary service. It allows a patient to not only HEAR about the planned treatment but also at their second visit, SEE the digitized 3D ClinCheck treatment model on our 40” flatscreen computer monitor. With conventional braces, the treatment is exclusively in the orthodontist’s mind. This often proves difficult for a patient to conceptualize how their treatment will progress. By seeing the personalized Invisalign ClinCheck created just for them, patients are immersed in the process. This immersion is beneficial for both dentist and patient. For myself, I feel I have empowered the patient by including them into the design process resulting in patients that are more compliant and thereby creating superior Invisalign results. For patients, they are privy to essential knowledge and issues such as the estimated time of treatment, the location of attachments, and most importantly, a visual representation of the estimated result. Invisalign is a fantastic tool at our disposal to orthodontically correct teeth and I am proud to offer it at Oral Health Care Professionals, LLC. If you have always wondered if Invisalign is right for your mouth, please give our office a call and take advantage of a complementary Invisalign consultation. Typically 60 minutes is allotted for these appointments to allow records to be taken if desired. Straighter and healthier teeth could be easily attainable with Invisalign! For more information about Invisalign treatment at our office, click HERE. If you would like to speak about Invisalign treatment, or any other dental topic, please feel free to call the office and schedule a complimentary appointment with me. Email and Twitter are also available options. I am extremely passionate about modern dentistry and love discussing it with patients, so don’t hesitate to contact me.